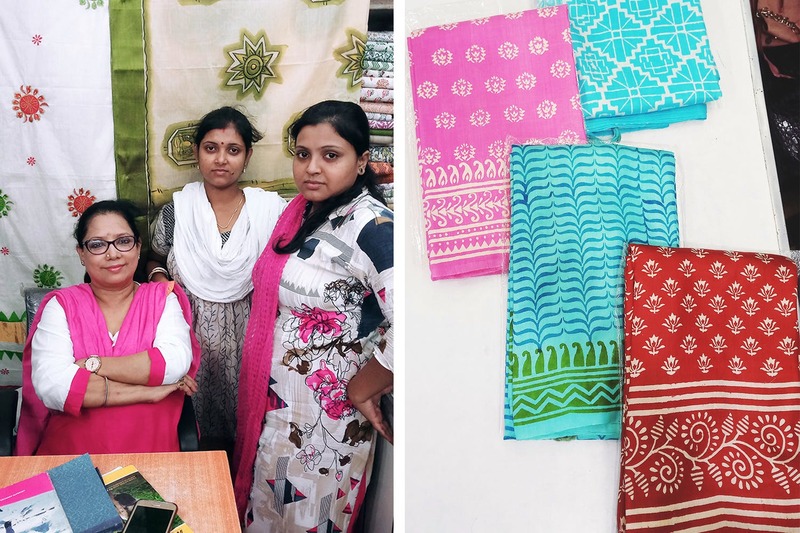 This 80 Year Old Sari Printing Store Will Turn Your Ideas Into Masterpieces. This 80-Year-Old Sari Printing Store Will Turn Your Ideas Into Masterpieces. Kolkata’s saree printing tradition dates back a long way, but it is slowly fading. We were browsing and found this shop in Gariahat. Very close to the Spencers on Rashbehari Avenue is this 80-year-old shop which does all kinds of saree printing. It’s a family business kind of joint run by Suparna Choudhury and her team (the store started by her father-in-law). You will get block prints on silk, kalamkari prints, bandhani and ‘miler chhapa’ or mill printed, and more. They don’t have any restrictions on the material either, whether it’s your mother’s beloved silk saree, or the traditional toshor or a newly bought cotton saree, you can trust them with everything. You can also design your own masterpiece. Select the prints and let them do the rest. You have to give them about a month and a half to give you the finished product. Simple prints will cost INR 200-400. Prints on silk will be INR 450 and toshor will be INR 500. From theatre and music to groups to Swagata Mukherjee and Monami, a lot of people trust their printing. They are soon planning to start dyeing and printing on t-shirts and shirts as well. You can keep a track of that here.